Welcome to SitcomsOnline Digest! This week, we have news of a streaming deal for The Larry Sanders Show, a reunion of the Boy Meets World cast, and more. Let's get going! CBS is bringing more colorized I Love Lucy to DVD on October 4, with the release of I Love Lucy - Superstar Special #1. Hangin' with Mr. Cooper - The Complete First Season (DVD, $29.99): The memorable 90s sitcom starring Mark Curry arrives on DVD for the first time in this release from Warner Archive. 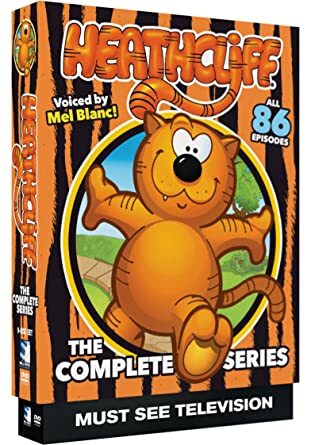 Heathcliff - The Complete Series (DVD, $19.98): The animated series with the legendary Mel Blanc playing the role of the orange cat arrives on DVD with this release of the entire series. Who to Follow: Lucie Arnaz (Twitter), "actress, singer, dancer, songwriter, producer, writer, director, teacher, sometime trapeze artist, wife and mother." Claim to Fame: August is coming up, and it is a month where we usually reflect on the life and career of Lucille Ball, since her birthday is coming up on August 6 (one week from today). Lucille Ball died, of course, almost three decades ago, but her two children, Desi Arnaz, Jr. and Lucie Arnaz, have continued to make sure that the legacy of their mother lives on for decades to come. Lucie Arnaz made her television debut on a few episodes of The Lucy Show before being cast as Kim, Lucy Carter's daughter, in the series Here's Lucy. Her television career was mostly short-lived, but as it turns out, a different direction was much more appropriate for her and has been a place where she has been able to thrive: musical theatre, including Broadway productions. She is still sort of trying to get the hang of Twitter and (as she often admits herself) has a tendency to show up and disappear, but we hope to hear more from her in the future.